In addition to being an academic and a widely-published scholar, you also write fiction. Why do you write, and does this differ depending on whether you’re writing fiction or non-fiction? I write to understand myself, other people and the world, and I write to challenge and extend myself. My writing is concerned with the relationship between health/disorder and creativity, especially creativity involving language and writing, but my writing process varies, depending on the form. I write autobiographical essays and memoir pieces to investigate and speculate, to work out something that troubles or preoccupies me. This is a conscious process spanning many disciplines, but it does involve moments of illumination through which I can articulate and connect disparate ideas. I might not come up with THE ANSWER but I learn through the writing process and hope that what I learn or intuit is also interesting to the reader. Writing fiction delights me because I have less conscious control over it, especially in the early stages. Characters reveal themselves and act in unanticipated ways; plot and sub-plots determine their own trajectory. So I think I write fiction to open myself to, or surprise myself into, alternative ways of being. Writing changes me, and I find the creativity involved—the ‘magic’ of writing: the dynamic and ineffable interweaving of what is conscious and what is not—a thrilling and compelling experience. Would you encourage other writers to undertake a PhD? What are the benefits and what are the challenges when creating work in such a structured environment? There are some fabulous writers emerging nationally and at a state level, and I’m especially pleased to see university writing graduates finding publication. What attracted you to the role of editorial board member for Margaret River Press? Has it been as you imagined it would be or were there surprises in terms of process, or of content? Being asked to join the editorial board was a great honour. I accepted the role because I am interested in the journey of a manuscript through assessment to publication and beyond, and because I could see that Margaret River Press was publishing quality writing. This role gives me the opportunity to approach writing from a different direction: reading, appreciating, and weighing words other than mine. I believe the experience benefits my own writing. I’ve slotted in easily—been nicely welcomed, thanks!—with no major surprises regarding process. I find the board meetings very interesting: though there are often varying opinions, there is mutual respect and commitment to a democratic process. Surprises? I am heartened and slightly surprised by the high quality of submissions and the variety in form and content—culturally diverse voices, for instance, are welcome and exciting. It all makes for fabulous reading; it also makes comparative evaluation difficult! How do you see Margaret River Press’ role in the growth of Australia’s literary culture? Is this different to, say, the role of the larger presses, or of those independent presses on the east coast of Australia? I feel Margaret River Press is well-placed to encourage a literary culture at a national and state level in the present, and in the future. As a small and independent publishing house, MRP is nimble, approachable and adaptable. The strong focus of MRP on the author–publisher partnership, including ongoing promotion, and the commitment to supporting writers at all stages of their career, including the early stages, means that writing and authorship are supported in a positive and sustainable way. Through constructive inter-relationships with other local presses, with universities (university writing programs), and with other writing-based organisations, MRP helps facilitate a healthy West Australian writing community and productive national connections and nurtures writing that challenges any illusion of ‘invisibility’ due to geographical distance. Which writers or works inspire you? What do they do in their work that takes their execution from efficient into the sublime? Quotes from Hilary Mantel’s Wolf Hall occupy a large part of my study wall. I find the way Mantel renders subjectivity in the third person fascinating, and her use of figurative language is sometimes subtle, sometimes arresting—always evocative. Helen Garner is a long-time favourite. Her subject matter is frequently dark and disturbing because she is investigating what humans are capable of. Regarding her non-fiction, I appreciate the way in which Garner implicates herself, and the way in which she refuses to reduce reader anxiety through pat answers. Anna Funder conducts herself similarly in Stasiland; human behaviour has rarely been dealt with in such a chilling and reverberating fashion. Inspiring West Australian writers include Joan London, Amanda Curtin, Susan_Midalia (another MRP editorial board member), and Rachel Robertson. I love London’s pure use of language: it feels like she has given herself over completely to place, person and time, then pared back the writing till what is left is potent with what is unsaid. Curtin is deft at interweaving separate timelines and evoking disparate landscapes. Midalia is a consummate thinker and writer: her fiction is astute, subtle, incisive, and compassionate—a thrilling combination. Robertson’s creative non-fiction resonates long beyond the reading, leaving one to grapple with the ethics and conduct of human relationships. I am a big fan of earlier West Australian writers too: among these I’ll single out Pat Jacobs for her bravery in narrative subject matter and Peter Cowan for his ability to summon a menacing atmosphere. The last couple of years have brought a wealth of writers to new or greater attention—here’s a few of many, with the qualities in each that ‘hooked’ me mentioned: Julie_Koh’s short fiction is wickedly subversive (Portable Curiosities); in Where the Light Falls Gretchen Shirm investigates psychological harm in a narrative notable for its clarity and restraint; Isabelle Li seduces with lyrical and sensual prose in A Chinese Affair; Michelle Michau-Crawford uses dialogue to evoke place and time to great effect in her collection Leaving Elvis; in Bloodlines Nicole_Sinclair deftly and sensitively embeds me in a country to which I have never been; and Rashida Murphy brings a complex childhood to life with verve and humour in The Historian’s Daughter. I’m excited about the future of Australian, and especially West Australian, writing. 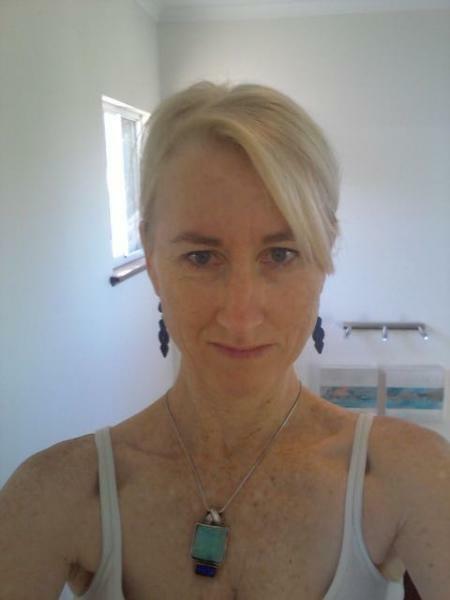 Josephine Taylor is a writer and freelance editor, and an adjunct lecturer at Edith Cowan University. Her work has been anthologised and has appeared in diverse publications, including Australian Book Review, Axon, Southerly and Westerly. Josephine is passionate about the workings of creativity in response to physical and psychological disorder.